a physician before trying anything new. Heat water in a kettle or a saucepan until rolling boil. 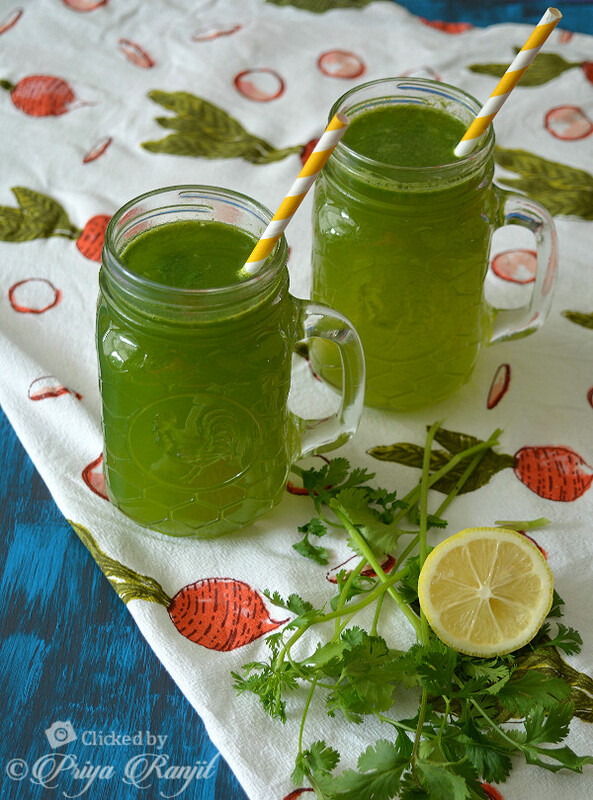 In a mixer or blender blend the coriander into a smooth paste with 1-2 tbsp of water to help grind. Pour the coriander paste into the serving glass and pour the warm water over it. Add the lemon juice to this and mix well. Drink immediately in one gulp. Sounds interesting, never tried detox drink with cilantro...would like to give it a shot :) Thanks for sharing such weight loss tips and recipes, keep them coming.